inches from one end of the boards, begin marking the dado shoulders. 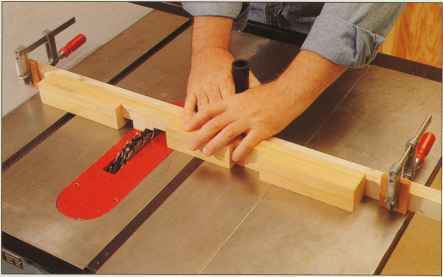 To extend the lines accurately across the rails, use a carpenter's square, butting one arm against the outside edge of the stock (above). 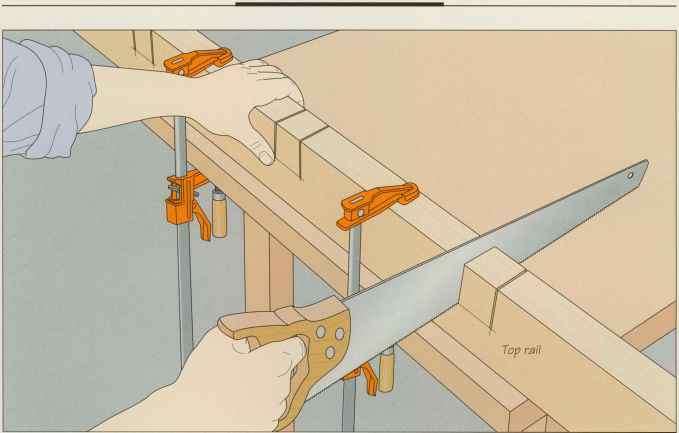 Each dado should be 2 inches wide. 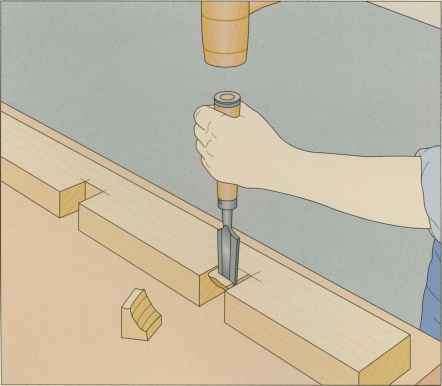 Mark the dado depth—2 inches—on each rail.